Looking for Cheap Car & Van Hire in Maghull? Book Online with Easirent! Easirent Liverpool is a family-run company, established for 30 years, offering local car & van hire services in Maghull and more! We’ve got an impressive fleet of vans for your needs. Choose from a regular Transit-sized van (SWB) or a Large van such as a Citroen Relay (LWB). Another popular van for our Maghull hirer’s is our Mercedes Sprinter which boasts an extra large storage capacity for that specialist job. We’ve also got a full range of top-quality cars to choose from that are all 5 door vehicles. Hirer’s from Maghull wishing to rent can choose from a small economy car, compact car or a larger car such as a family car. 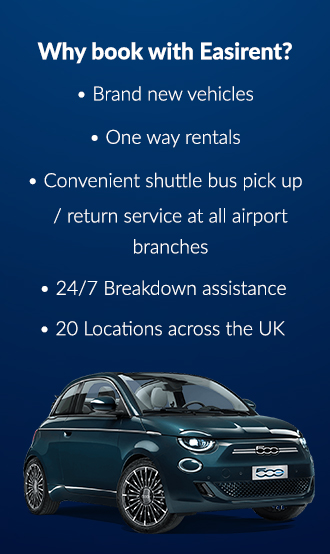 Easirent Liverpool also have a range of vehicles to carry 7 or 8 passengers. Book online now with Easirent and take advantage of our low rates!